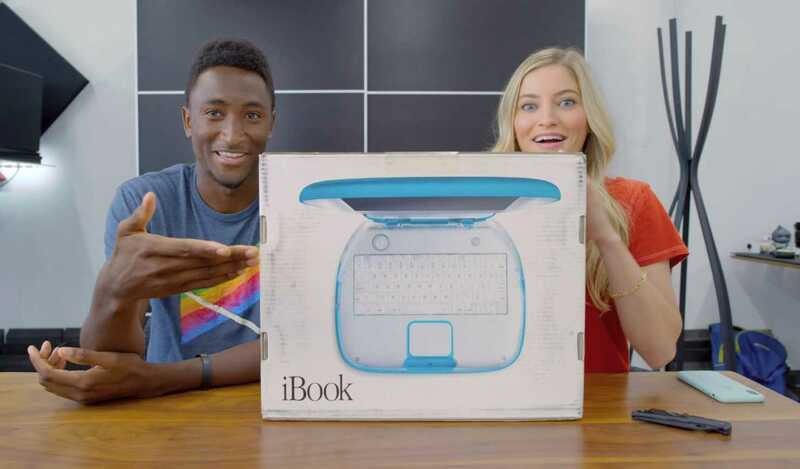 Online YouTube celebrities Marques Brownlee (MKBHD) and Justine Ezarik (iJustine) unboxed an 18-year-old Apple iBook G3 in the new episode, The iBook was still factory sealed from the year 2000. Once they got it open, they marveled over the color, the design and the hand for easy portability. Apple these are nice. You should bring this back …I am now thinking back to like what it was like when these it’s like I mean the iMac really changed everything …it does have a handle. …So early in the days of laptops you had to make sure people knew that they could bring it places.